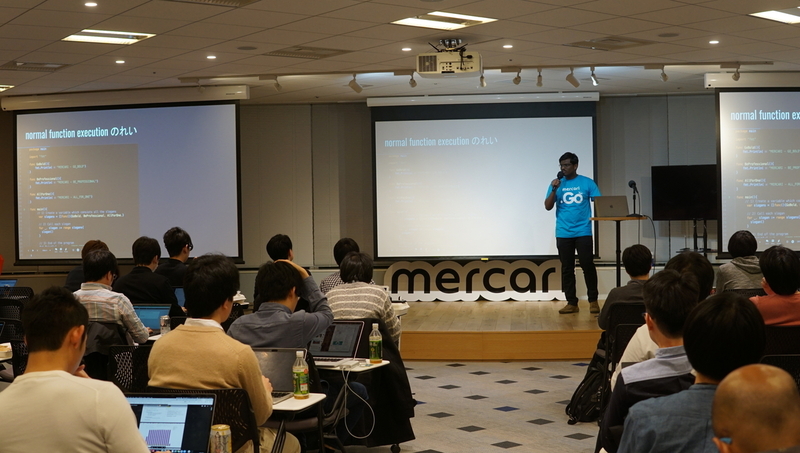 Last week, we held Mercari.go #7 at Mercari. This is an event for engineers who want to learn more about the Go language. 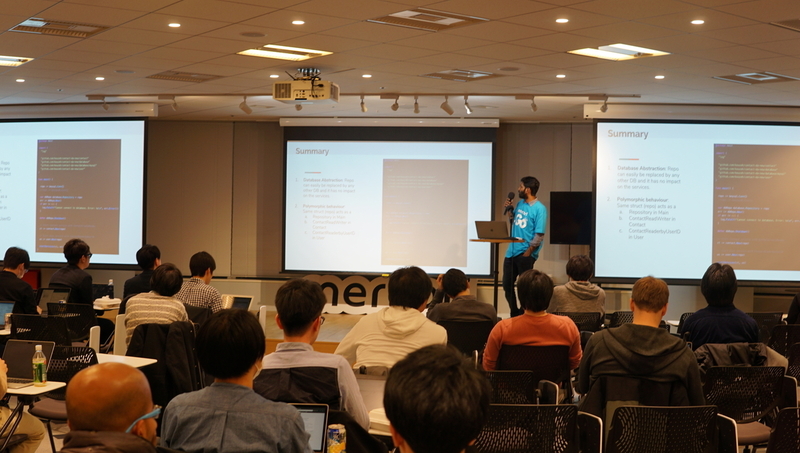 Mercari engineers give a light talk session about the Go language. Anyone can join even if you are a Go beginner or not a Mercari employee! We already had the Mercari.go event 6 times before. But this time, we had both an English and Japanese version. It was the first time we used both languages at the same time. The moderation was in Japanese and English.The total number of speakers was 6 ; 3 used Japanese and the other 3 used English. I asked Tuane Quintella de Andrade, who is an organizer of this event, what was the most effective for the event to use both languages. Quintella : It is very good for community building. By providing both languages, more people can join and network with people who have the same interest. It’s a good opportunity to break the language barrier. And it is also a good opportunity for speakers. In this event one Japanese member gave a speech in English and one Indian member did it in Japanese! We usually don't have many opportunities for speaking in a second language. However, this time it was a good opportunity for speakers to try giving a speech in their second language, as we had a choice of languages. Usually at these types of events, conversation happens on slack in real time, but when we made the event bilingual, we found that conversations happened on the computer and in person. We are planning to hold English and Japanese events in the future as well. Please join us next time! See you again for more #MercariDays (#メルカリな日々) !